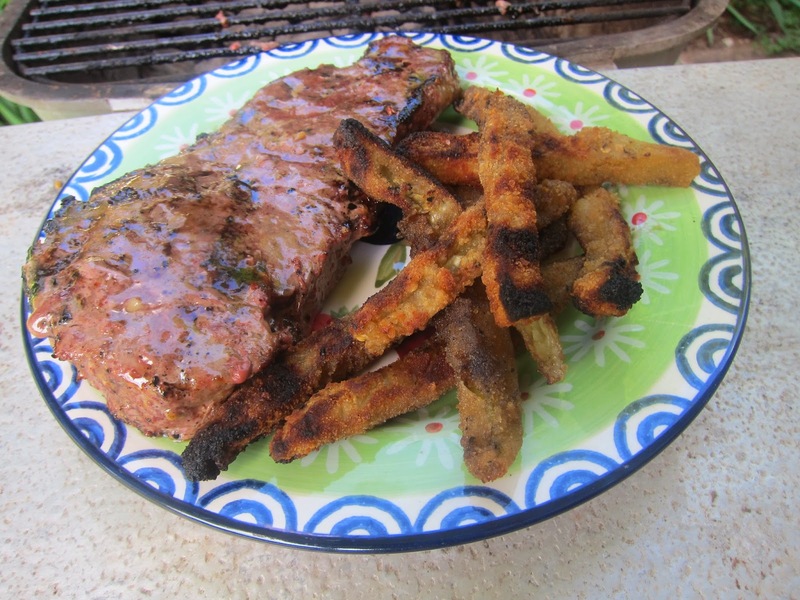 Barbecue Master: Grilled Dominex Veggie Fries Right on the Grates and Turned Out Great. Grilled Dominex Veggie Fries Right on the Grates and Turned Out Great. I Just Ate Eggplant Fries? And I Loved Them. Dominex asked me if I'd like to try a couple of their line of quick heat-and-eat products free and to give a fair opinion. Yes. I do like something quick now and then. But, I write mostly about grilling, so I wasn't sure about the fries. To really put the fries to the test, I decided not to use foil or a wok or any other accessory. I decided to go right to the grates for a really tough test. 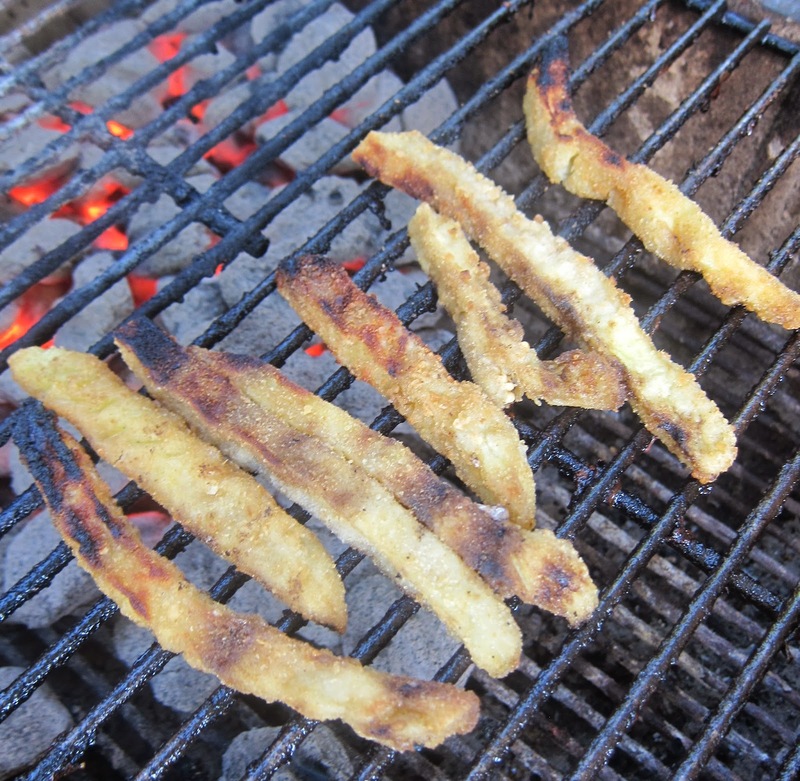 I put the veggie fries to the edge of the charcoal. This is called offset when you only have charcoal on one side of the grill and gives you many more options. The Dominex vegetable fries went immediately from the freezer to the grates. I felt they might need to be stiff to start out. Then, I grilled them close to five minutes. I then put the lid down to make sure they got hot inside. I then opened the lid to keep the crispness and finished them off in 3 or 4 minutes. The veggie fries turned out perfect. Now I went a bit darker than some might like, but I've always liked many of my foods pretty dark. To keep them lighter, then don't put them quite as close to the live coals. 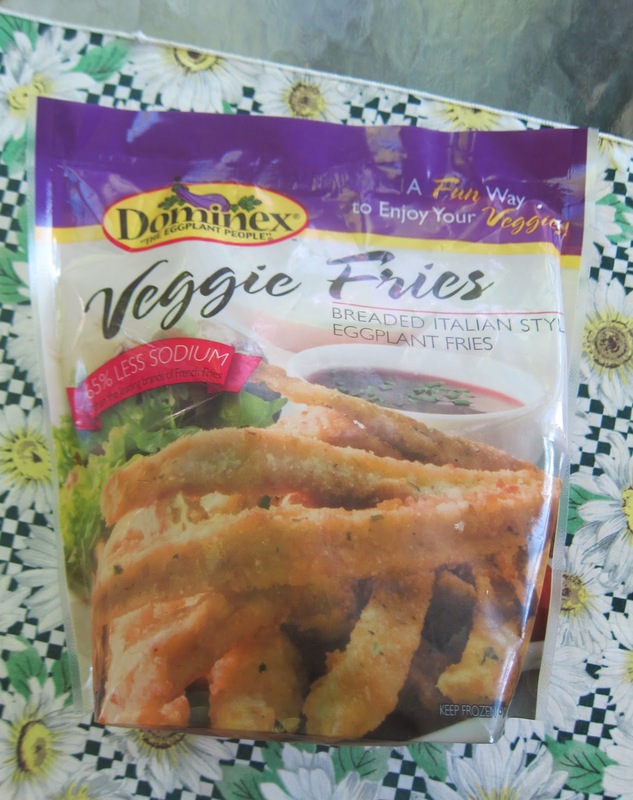 I loved the flavor of the Dominex Veggie Fries. The joke was on me though, because these are eggplant fries, and I did not think I liked eggplant very much. I had to laugh when I read up. Not only are the veggie (eggplant) fries crisp with a delicious outside flavor, they also have a lovely inside flavor. I'd have to say I like them as much as more than white potato ready to cook fries. Nothing beats my home cut and oil fried potato fries, but I only make them about twice a year now due to high tri levels. I don't have to worry with Dominex Veggie fries on the trans. They have zero trans fat. They also have no cholesterol which I don't have a problem with, but some family members do (and also friends I'm sure). Another plus is low sodium (65% lower than the average potato fry) - but the fries are full of flavor. Dominex Veggie Fries are all natural and have 4 grams of dietary fiber. I'm glad I did not read up before grilling the Veggie Fries. I might not have given eggplant as fair a shake (not on purpose but due to past experience). That's why I usually do my own thing (but may read times and temps) and just let foods speak for themselves. Veggie Fries from Dominex. Yep. A winner. I did not know eggplant could be so yummy. Now I do. Nice product and went well with the steak and then some later as a snack.